The reasons for this change of policy are nowhere explicitly stated. Undoubtedly many factors both political and military contributed to the American Government's firm stand in July and August 1941. One of these was recognition of the potentialities of air power and especially of the Army's new heavy bomber, the B-17, called the Flying Fortress. In Stimson's opinion, the success of B-17 operations in Europe was responsible for creating an optimistic view in the War Department that the Philippines could be successfully held.4 A striking force of such heavy bombers, it was argued, would act as a deterrent to Japanese advances southward and would strengthen the United States position in the Far East. Another cause for optimism was the recall of General MacArthur to active duty. No one knew as much as he about the Philippines and no one believed more completely that it could be held if the Japanese allowed sufficient time for reinforcement. The arrival of the two tank battalions with their 108 light tanks, M-3, were a welcome addition to the Philippine garrison. On 21 November a Provisional Tank Group consisting of the 192d and 194th Tank Battalions and the 17th Ordnance Company (Armored) was established, with Col. James R. N. Weaver in command. General MacArthur's request for authority to reorganize the Philippine Division as a triangular division had been readily granted. To accomplish this reorganization, MacArthur said he needed an infantry regiment, a field artillery headquarters and headquarters battery, two field artillery battalions, a reconnaissance troop, and a military police platoon for the division.15 The War Department agreed to provide these units and the staff began the detailed work necessary to select and ship them. MacArthur's plans included also the establishment of four major tactical commands, directly subordinate to USAFFE. On 2 October he requested authority, which was readily granted, to activate a headquarters and headquarters company for each "with average strength approximately those of Army Corps. "17 He also asked for army and corps troops to establish a balanced force, and for a field artillery brigade, a chemical company, three signal battalions, a medical supply depot, and a military police company, all at full strength and with complete organization and individual equipment. By the end of October he had requested almost 12,000 men: for the Philippine Division, 209 officers and 4,881 enlisted men; for army and corps troops, 340 officers and 6,392 enlisted men. Since the Philippine Army was not limited in size by law as was the U.S. Army, MacArthur was in the unique position of being able to raise as many troops as the War Department could equip. On 20 September he asked for "complete organizational equipment" for a number of army and corps units to be formed principally of Philippine Army personnel. Included were 2 155-mm. and 3 105-mm. howitzer regiments, a motorized battalion of 155-mm. guns, 3 antitank gun battalions, and service, signal, and medical units.22 These requests were approved and a shipping schedule established. The approval of requisitions and orders for shipment did not result in any immediate increase in the supplies of the Philippine Army. Time was required to order the stocks from depots and factories, pack and ship them to the port of embarkation, find the vessels to transport them, and finally get them to the Islands. In September, the Navy began sending cruiser escorts with Army transports and merchant ships on their voyages between Hawaii and Manila. This procedure frequently meant that the transports had to stop at Honolulu, sometimes reload, and then sail west at a speed equal to that of the slowest vessel in the convoy. pointing out to the Chief of Naval Operations that it would delay the delivery of much-needed reinforcements to MacArthur by over two months.28 Despite the favorable outcome of this protest, a large backlog of troops and approximately 1,100,000 tons of equipment destined for the Philippines had piled up in U.S. ports or depots by November. A group of shipping experts, including representatives from the War Department General Staff, Office of the Quartermaster General, the Navy, and Maritime Commission, met on 10 November to discuss ways of breaking the shipping block. As a result of this meeting a shipping schedule was established which recognized the priority of the Philippines over Hawaiian defenses and advanced the troop movements scheduled for mid-January to 17 and 20 December. Altogether, nine vessels were assigned to the Manila route, to sail in November and December. They would bring to MacArthur one light and one heavy bombardment group, a pursuit group, one reconnaissance squadron, a regiment of infantry, a brigade of field artillery, two battalions of light artillery, together with ground and air service units.29 Had these vessels, the last of which was to leave the United States on 20 December, reached the Philippines the Japanese would have faced a far stronger force when they landed on Luzon. Once the pioneering flight had been successfully concluded, all heavy bombers sent to the Philippines went by air via the Central Pacific route. On 9 September, General Marshall told MacArthur that two additional squadrons of the 19th Group- the 30th and 93d-would leave the next month. At that time the ground echelon of the two squadrons and the headquarters sailed from San Francisco. The air echelon of twenty-six B-17's followed soon after. By 22 October these planes had arrived at Hickam Field in Hawaii. After a short stopover they flew on to Clark Field where all but two reported on 4 November; the other two followed soon after. By now the War Department was fully committed to an all-out effort to strengthen the air defense of the Philippines. General Arnold, in a letter to the commander of the Hawaiian Air Force on 1 December, expressed this view when he wrote: "We must get every B-17 available to the Philippines as soon as possible. "42 His statement was not an exaggeration. On the outbreak of war there were 913 U. S. Army aircraft scattered among the numerous overseas bases. This number of aircraft included 61 heavy, 157 medium, and 59 light bombers and 636 fighters. More than half of the total of heavy bombers and one sixth of the fighters were already in the Philippines.43 (See Table 3.) Within a few months this number would have been raised considerably. b There is disagreement in all sources on the figure of 107 P-40's. Some writers place the figure at 90 and Walter D. Edmonds estimates that there were "only 54 first-line, combat worthy fighter planes to throw against the Japanese on the morning of December 8." They Fought With What They Had, p. xii. Sources: For the Philippines, memo, Gerow for CofS, - Nov 41, sub: Airplanes in P. I., Incl 1, 19 Nov 41, WPD 3633-20. The P-40 strength is from memo, CofS for SW, 25 Nov 41, sub: Reinf of Phil, OCS 18136-124; Craven and Cate, The Army Air Forces in World War II, I, 191-92. For Hawaii, Craven and Cate, The Army Air Forces in World War II, I, 171. Despite the arrival of reinforcements and the airfield construction program, the air defense system remained inadequate because of the shortage of antiaircraft artillery and aircraft warning equipment. MacArthur had requested warning equipment in September and had at that time presented a plan for the establishment of an air warning service. The War Department had approved the project and by mid- September three radar sets had been shipped with three more scheduled for shipment in October. In addition, $190,000 was allotted for aircraft warning construction, with an additional $200,000 to be included in the supplemental estimate for the fiscal year 1942 for the construction of three detector stations and one information center. Mountains, lies Fort Stotsenburg. The rectangular, tree-lined area is the parade ground. service battalion to the Philippines.51 The 557th Air Warning Battalion was organized in the United States and on 6 December 1941 arrived in San Francisco, too late for shipment to the Philippines. That other prerequisite for a balanced air force, antiaircraft artillery, was also slow in reaching the Far East. In the Islands when MacArthur assumed command was the 60th Coast Artillery (AA). In anticipation of heavy reinforcements he organized in August the Philippine Coast Artillery Command with Maj. Gen. George F.
Manila with headquarters in the Marsman Building. Admiral Thomas C. Hart commanded the fleet and reported directly to the Chief of Naval Operations in Washington. The 16th Naval District headquarters was at Cavite on the south shore of Manila Bay. Obviously such a force was not capable of withstanding even momentarily the Japanese Combined Fleet, and Admiral Hart had authority to retire to bases in the Indian Ocean if necessary. From the small detachments of sailors in the 16th Naval District little more could be expected than assistance in protecting local naval installations. The 4th Marines could be of considerable help in the defense of the Philippines if it could be taken out of China in time. The last vessels carrying supplies to the Philippines were assembled in convoy in Hawaii and on 7 December were still on the high seas. In the convoy were the 52 dive bombers of the 27th Bombardment Group, 18 P-40's, 340 motor vehicles, 48 75-mm. guns, 3,500,000 rounds of .30- and .50-caliber ammunition, 600 tons of bombs, 9,000 drums of aviation fuel, and other heavy equipment and supplies. Also aboard were the two light field artillery battalions and the ground echelon of the 7th Bombardment Group (H). The military force in the Islands at the beginning of December, while not as large as MacArthur soon hoped to have, was considerably larger than it had been five months earlier. The air force had been reorganized, modern bombers and fighters had been brought in, and a start made on the creation of a balanced force. The strength of air force troops on 30 November was 5,609, more than double the July strength. The Far East Air Force had more than 250 aircraft, concentrated largely on Luzon. Less than half of these planes were suitable for combat, and much of the equipment was still in ports of embarkation. 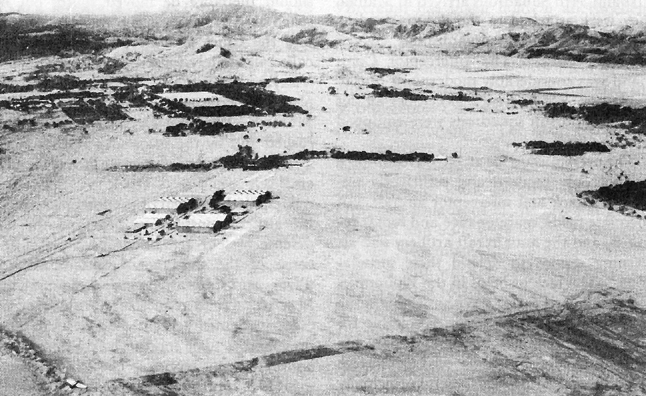 There were 35 B-17's at Clark Field and 107 P-40's at various fields on Luzon. A primitive aircraft warning system was in operation, and an antiaircraft artillery regiment was stationed at Clark Field. Much remained to be done, but the Philippines could boast a stronger air complement of modern combat aircraft on 7 December than any other base, including Hawaii and Panama. a Includes 31 Philippine Scout Officers. b Includes officers for which no specific unit was indicated. Source: Phil Dept, Machine Rcds Unit Station Strength and Misc., Officers and Enlisted men, Nov 41.
strongest element was the submarine force of 29 underwater craft. Ground forces in the Philippines had been considerably reinforced, too, in the few months since General MacArthur had assumed command. The ten reserve divisions of the Philippine Army had been two-thirds mobilized and although poorly equipped and trained represented a military force of some size. Within a week after the outbreak of war it numbered over 100,000 men. The U.S. Army garrison in the Islands had been increased by 8,563 men since 31 July. The number of Philippine Scouts, fixed by law, remained the same, approximately 12,000. The number of American enlisted men increased by 7,473 and officers by 1,070. (See Table 4; compare with Table 2.) The largest proportionate increase was among service troops. As of 31 July, 1,836 men were assigned to service detachments; four months later the number had increased to 4,268. During this same period, the number of Air Corps troops had increased from 2,407 to 5,609.66 Total strength of the entire U.S. Army garrison on 30 November 1941 was 31,095 officers and enlisted men. In the four months since General MacArthur's assumption of command, the flow of men and supplies to the Philippines had increased tremendously and all preparations for war had been pushed actively and aggressively. Time was running out rapidly, but at the end of November many still thought it would be several months before the Japanese struck. The month of April 1942 was commonly accepted as the critical date and most plans were based on that date. By 1 December MacArthur had organized his forces, but still needed much to place them on a war footing. Most of his requests had been approved by the War Department and men and supplies were already on their way or at San Francisco awaiting shipment. The record of accomplishment was a heartening one and justified the optimism which prevailed in Washington and in the Philippines over the capacity of the Philippine garrison to withstand a Japanese attack.